WORLD champions Mark O’Donovan and Shane O’Driscoll have made the decision to sacrifice the possibility of winning more major international titles in the coming two years to try to fulfil their Olympic dream. The Skibbereen duo swept the boards as a lightweight pair this year, winning World and European titles as well as all three World Cups but this is not an Olympic event. Their ambition to compete in future Games, starting with Tokyo 2020, would have meant one of them, or both, having to oust Rio silver medallists Paul and Gary O’Donovan (no relation of Mark’s) in the lightweight double so they have decided to change tack by becoming a heavyweight pair. This will mean having to bulk up and, given their dominance in 2017, the likely sacrifice of future international medal in their current event. 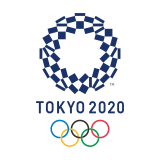 However, with limited weight categories in Olympic competition and Olympic success their ultimate goal they came to the decision in consultation with Rowing Ireland’s High Performance Director Antonio Maurogiovanni and High Performance coach Dominic Casey. The pair and the O’Donovan brothers are all headed to New Zealand in the New Year for three months of intensive training where they will have the challenging task of putting on the right type of weight. Dominic Casey, incidentally, was nominated in two categories in International Rowing’s (FISA) end of season awards, in both the ‘Coach of the Year’ and ‘Distinguished Service to International Rowing’ categories. He did not win but to be nominated for such prestigious awards was huge recognition of his coaching skills and his contribution to the success of Irish rowing on the world stage in recent years. Elsewhere 2017 European silver medallist Denise Walsh is one of the 12 Irish Summer Olympic hopefuls to have been awarded a scholarship through the Olympic Solidarity scheme. A brilliant year for Irish swimming was capped off with 13 new Irish senior records at the European Short Course Championships where Sligo’s Mona McSharry and Bangor’s Jordan Sloane made finals. World junior champion McSharry, in her first senior championship, finished fifth in the 100m breaststroke final, just 0.2 seconds off a medal while Sloane, who set new Irish senior records at 100m, 200m and 400m freestyle in Copenhagen, finished sixth in the 200m final. Conor Ferguson became the first Irishman to break 24 seconds in 50m backstroke and there were also new senior records from Danielle Hill (50m freestyle) andAlex Murphy (100m breaststroke) and three more in the relays. Ireland has a particularly exciting team of young athletes in a diverse range of snow sports chasing qualification for PyeongChang right now. They include two ‘freestyle’ skiers, snowboarder Seamus O’Connor (the only one to previously compete in a Winter Olympics), a cross-country skier and a group of alpine skiers who compete in everything from slalom to Super-G.
They’re all racing the clock to collect points as the International Skiing Federation (FIS) will release its Olympic qualification lists on January 24th. Several of them have been making their mark recently, particularly John Brown, the 22-year-old slopestyle skier with deep Cork roots. His mum is from Banteer, his father’s family hail from near Bantry and John spent a year living in Schull when he was four before his parents settled in New Hampshire, north of Boston. The World Cup is the Premier League of international snow sports and Browne was 22nd at the recent WC in Stubai in Austria from a field of over 70 competitors. He also made the top 25 in the previous WC in New Zealand in August, a great return considering he had reconstructive surgery on a cruciate knee ligament last March. O’Connor is another returning to form after serious knee surgery which sees him now concentre on the half-pipe. He was recently 36th in the World Cup in Copper Mountain where Irish slopestyle skier Brendan ‘Bubba’ Newby came 13th and teenager Emma Ryan was 29th in the FIS Super-G competition. 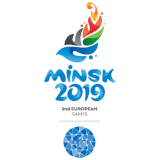 Also battling to get to South Korea are Irish-Norwegian cross-country skier Thomas Westgard and alpine skiers Patrick McMillan (from Ogonelloe in Clare), DIT student Cormac Comerford, Kieran Norris and Tess Arbez. Ireland also has some ice-sport athletes with similar ambitions; speed-skater siblings Ryan and Sean McAnuff and ex-sprinter Brendan Doyle who competes in skeleton. Two-time champion Fionnuala McCormack made a record-breaking 15th appearance at the European Cross-Country championships in Slovakia this month but had to settle for 15th this time. Her individual result was matched in the senior men’s race by Clonmel’s Sean Tobin and good runs from Ballina’s Hugh Armstrong (19th) and another Clonmel runner Kevin Maunsell (24th) combined to help the Irish men finish fifth in the team competition, just two-points off fourth-placed France. The best individual placing by any Irish athlete in the tough, wintery conditions came from Dundrum South Dublin’s Sophie Murphy, one to watch in 2018 after she finished 10th in the women’s junior (U20) 4000m race. The Irish men’s hockey team received a welcome funding boost, securing €84,000 (€21,000 per year) of Olympic Solidarity funding to help the men’s team in their bid to make Tokyo 2020. They had to resort to crowd-funding to help them prepare in 2015-2016 when they became Ireland’s first team of any kind to qualify for a Games since 1948 and the first hockey team since 1908. They are currently ranked 10th in the World and, like their female counterparts, will compete in the World Cup in 2018. Veteran international Alan Sothern (30), one of their most capped players, works as a hockey coach in Alexandra College while doing distance studies at Setanta College. Irish net-minder Davy Harte was recently nominated for FIH World Goalkeeper of the Year for a third year in-a-row, a title he has won in the last two seasons. The Irish senior women recently got their draw for next July’s World Cup in London which has pitted them in a group with England, India and the USA. Irish amateur boxing finished the year by winning more international medals. Joe Ward continues to be their star, winning his third European gold and another World silver this year but two to watch for the future are two teenagers, Belfast light flyweight Caitlin Fryers and Kildare light welterweight Katelynn Phelan. Fryers (who also won silver at this year’s European Youths) and Phelan both brought home bronze medals from the World Youth Championships in Guwahati, India in November where Fryers was only beaten on a split decision in her bid to win gold. Ireland sent a team of just eight boxers to this event and Bray welterweight Shannon Reilly also reached the quarter-finals. In the past two months, a team of Irish male boxers brought home five medals (two gold, two silver and one bronze) from the Eindholven BoxCup, while Ireland’s senior women brought home two golds and a silver from the BoxAm Elite Tournament in Tenerife in November. In all Irish boxers have won 46 international medals in the past year, 29 of them at World and European tournaments. A team of nine riders, with a real mix of youth and experience, brought home one medal and came agonisingly close to a few others at the European Track Championships in Berlin in October. Lydia Boylan and Lydia Gurley won silver in the women’s Madison, a 30km team relay event. This was particularly significant as the Madison is one of the new additions to the Olympic programme for Tokyo 2020. This was Gurley’s second international medal this year as she won bronze in the Scratch event at a World Cup back in February but it was a first at this level for Boylan. Gurley was only pipped for a bronze in the Scratch race a day earlier and Tyrone rider Mark Potts, the national criterium champion, was also very unlucky not to medal in the Scratch race, finishing fourth and heartbreakingly seeing the scoreboard momentarily flash up that he’d won bronze only for it to be corrected. Felix English’s fifth in the men’s Omnium was the other best Irish result from a very competitive team who are coached by former Madison World Champion David Muntaner in their track base in Majorca. Another athlete receiving a Summer Olympic Solidarity grant is Jack Wooley, the Dublin taekwondo player who was agonisingly just one place short of qualifying for the Rio Olympics. Finishing ninth and fifth in WTU Grand Prix in Russia and London saw Wooley qualify for the top 16 World Grand Prix Final in the Ivory Coast in November but he was unlucky to draw world number four Jesus Tortosa of Spain and did not make it to the quarter-finals. Since being awarded the scholarship Jack has won Silver medal at the European Senior Championships in Sofia on 7th December 2017.